Cartoonist and creator of Peanuts, Charles M. Schulz was the winner of two Reuben, two Peabody, and five Emmy awards and a member of the Cartoonist Hall of Fame. Charles Monroe Schulz was born in Minneapolis, Minnesota, on November 26, 1922, the son of Carl and Dena Halverson Schulz. His father was a barber. Charles loved to read the comics section of the newspaper with his father and was given the nickname "Sparky" after Sparkplug, the horse in the Barney Google comic strip. He began to draw pictures of his favorite cartoon characters at age six. At school in St. Paul, Minnesota, he was bright and allowed to skip two grades, which made him often the smallest in his class. Noting his interest in drawing, his mother encouraged him to take a correspondence course (in which lessons and exercises are mailed to students and then returned when completed) from Art Instruction, Inc., in Minneapolis after he graduated from high school. his work appeared in the Saturday Evening Post, and eventually he created a cartoon entitled Li'l Folks for the St. Paul Pioneer Press. In 1950 the United Feature Syndicate of New York decided to publish Schulz's new comic strip, which he had wanted to call Li'l Folks but which was named Peanuts by the company. In 1950 the cartoon began appearing in seven newspapers with the characters Charlie Brown, Shermy, Patty, and Snoopy. Within a year the strip appeared in thirty-five papers, and by 1956 it was in over a hundred. The Peanuts cartoons were centered on the simple and touching figures of a boy, Charlie Brown, and his dog, Snoopy and their family and school friends. Adults were never seen, only hinted at, and the action involved ordinary, everyday happenings. Charlie Brown had a round head with half-circles for ears and nose, dots for eyes, and a line for a mouth. Things always seemed to go wrong for him, and he was often puzzled by the problems that life and his peers dealt out to him: the crabbiness of Lucy; the unanswerable questions of Linus, a young intellectual with a security blanket; the self-absorption of Schroeder the musician; the teasing of his schoolmates; and the behavior of Snoopy, the floppy-eared dog with the wild imagination, who sees himself as a fighter pilot trying to shoot down the Red Baron (based on a famous German pilot during World War I) when he is not running a "Beagle Scout" troop consisting of the bird, Woodstock, and his friends. Charlie Brown's inability to cope with the constant disappointments in life, the failure and renewal of trust (such as Lucy's tricking him every time he tries to kick the football), and his touching efforts to accept what happens as deserved were traits shared to a lesser degree by the other characters. Even crabby Lucy cannot interest Schroeder or understand baseball; Linus is puzzled by life's mysteries and the refusal of the "Great Pumpkin" to show up on Halloween. The odd elements and defects of humanity in general were reflected by Schulz's gentle humor, which made the cartoon appealing to the public. Schulz insisted that he was not trying to send any moral and religious messages in Peanuts . However, even to the casual reader Peanuts offered lessons to be learned. Schulz employed everyday humor to make a point, but usually it was the intellectual comment that carries the charge, even if it was only "Good Grief!" Grief was the human condition, but it was good when it taught us something about ourselves and was lightened by laughter. As the strip became more popular, new characters were added, including Sally, Charlie Brown's sister; Rerun, Lucy's brother; Peppermint Patty; Marcie; Franklin; José Peterson; Pigpen; Snoopy's brother Spike; and the bird, Woodstock. Schulz received the Reuben award from the National Cartoonists Society in 1955 and 1964. By this time Schulz was famous across the world. Peanuts appeared in over twenty-three hundred newspapers. The cartoon branched out into television, and in 1965 the classic special A Charlie Brown Christmas won Peabody and Emmy awards. Many more television specials and Emmys were to follow. An off-Broadway stage production, You're a Good Man, Charlie Brown, was created in 1967 and ran for four years (it was also revived in 1999). Many volumes of Schulz's work were published in at least nineteen languages, and the success of Peanuts inspired clothes, stationery, toys, games, and other merchandise. Schulz also wrote a book, Why, Charlie Brown, Why? (which became a CBS television special) to help children understand the subject of cancer (his mother had died of cancer in 1943). Besides the previously mentioned awards, Schulz received the Yale Humor Award, 1956; School Bell Award, National Education Association, 1960; and honorary degrees from Anderson College, 1963, and St. Mary's College of California, 1969. A "Charles M. Schulz Award" honoring comic artists was created by the United Feature Syndicate in 1980. The year 1990 marked the fortieth anniversary of Peanuts. An exhibit at the Louvre, in Paris, France, called "Snoopy in Fashion," featured three hundred Snoopy dolls dressed in fashions created by more than fifteen world-famous designers. It later traveled to the United States. Also in 1990, the Smithsonian Institution featured an exhibit titled, "This Is Your Childhood, Charlie Brown … Children in American Culture, 1945–1970." By the late 1990s Peanuts ran in over two thousand newspapers throughout the world every day. Schulz was diagnosed with cancer in November 1999 after the disease was discovered during an unrelated operation. He announced in December 1999 that he would retire in the year 2000, the day after the final Peanuts strip. Schulz died on February 12, 2000, one day before his farewell strip was to be in newspapers. Schulz was twice married, to Joyce Halverson in 1949 (divorced 1972) and to Jean Clyde in 1973. He had five children by his first marriage. In March 2000 the Board of Supervisors of Sonoma County, California, passed a resolution to rename Sonoma County Airport after Schulz. In June 2000 plans were announced for bronze sculptures of eleven Peanuts characters to be placed on the St. Paul riverfront. That same month President Bill Clinton (1946–) signed a bill giving Schulz the Congressional Gold Medal. In 2002 an exhibition entitled "Speak Softly and Carry a Beagle: The Art of Charles Schulz" was held at the Norman Rockwell Museum in Stockbridge, Massachusetts. Also in 2002, it was announced that the proposed Charles M. Schulz Museum and Research Center in Santa Rosa, California, would be completed in August 2003. Inge, M. Thomas. Charles M. Schulz: Conversations. Jackson: University Press of Mississippi, 2000. Johnson, Rheta Grimsley. Good Grief: The Story of Charles M. Schulz. 2nd rev. ed. Kansas City: Andrews and McMeel, 1995. 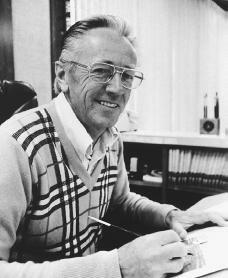 Schuman, Michael A. Charles M. Schulz: Cartoonist and Creator of Peanuts. Berkeley Heights, NJ: Enslow, 2000. Short, Robert L. The Gospel According to Peanuts. Richmond, VA: John Knox Press, 1964. Reprint, Louisville, KY: Westminster John Knox Press, 2000. During World War II did Charles Schultz see any combat while in Europe ? What division was he in ? Did he recieve any medals. The Army had 2 newspapers during the war (Stars and Stripes and Yank). Did he work on one of these ? Did he do any drawings during the war ? Where can they be viewed ? Im doing a book report on this could I get some more stuff about charles it would help email me thanks!